The above photo, taken in 1952, is of four men from the rancho of Los Haro, Zacatecas, Mexico. They had signed on as braceros in the spring of that year, leaving their homes and families to work in the fields and vineyards of California. 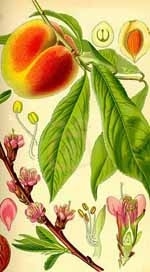 They concluded their "run" working for the Mondavi family in the Napa Valley during the grape harvest of 1952. Here they are standing in front of crush equipment at the Charles Krug winery in St. Helena, California. They are, left to right: Enrique Segura, Jose Manuel Saldívar, Feliciano De Haro and Rafael Saldívar. Today there are more than 1000 people from the rancho of Los Haro living and working in Napa, the descendants, relatives and neighbors of these four pioneers. 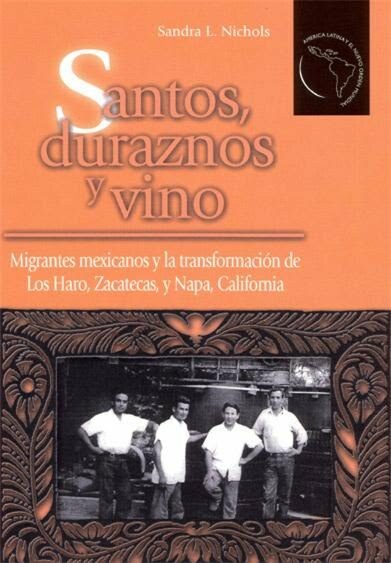 "Saints, Peaches and Wine" is an account of the development and evolution of the Los Haro-Napa transnational community during the second half of the 20th century, and of the changes that have taken place in these two places that have become so closely linked to each other.